I did one of my live style video reviews of the unit. Follow along while I test the unit and see how well it performs, as with the last charger, I was surprised in the end! As you were able to see in the video, this charger isn’t that bad at all. It’s certainly not of the dirt cheap Chinese knockoff quality I’ve seen before. 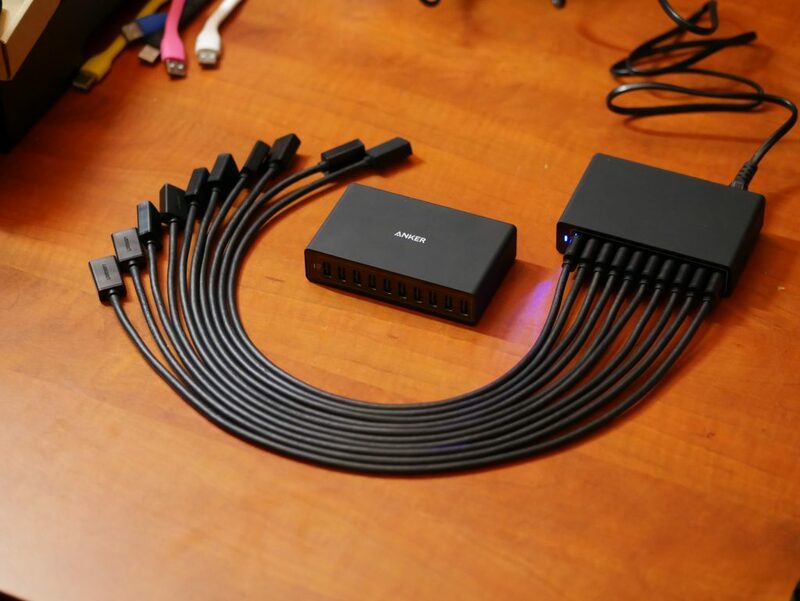 I’m not saying that it’s as good as the original Anker Powerport 10 (watch my review here) but it’s not half bad either! As you were able to see in the video I also took a look inside of the unit and even there it pleasantly surprised me. 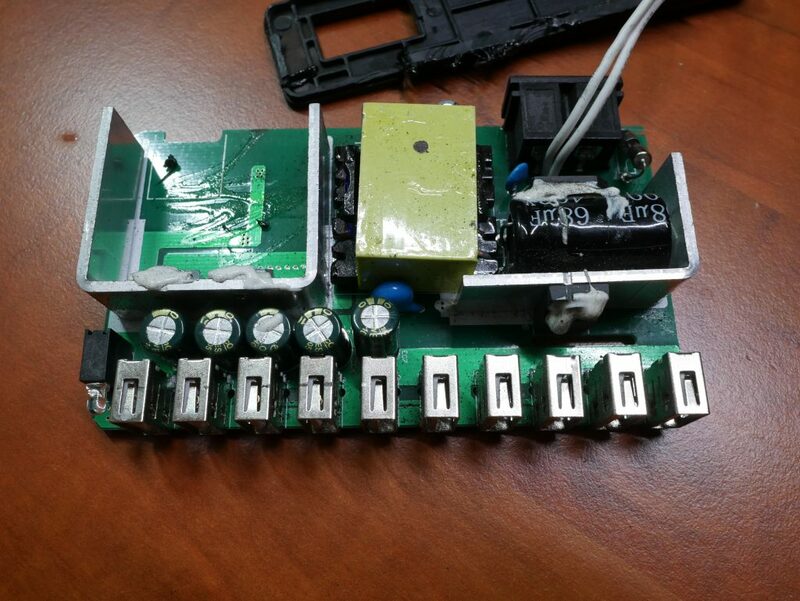 Sure, it’s not the best board layout or soldering but still, it can be much worse. They’ve even used a spark gap and decent high and low voltage separation. Available using lots of different names? While searching online for the model number it turns out this charger is available from a lot of different brands. From what I can tell, they are all the same product. Names I was able to find where Amstar, Bonscien, Gracetop, XinBoxin, HLS, Branco and Preto. They all seem to be selling the exactly same charger, that’s also probably why it’s a fairly decent product. From what I’ve been with Chinese manufacturers, they’ll sell dirt cheap products with no name and they will sell decent products (even though a knockoff) using some sort of name. As you’ve been able to tell by now, I quite like this charger for the money. Check out below for more info but if you want to get one, you can do yourself over here. 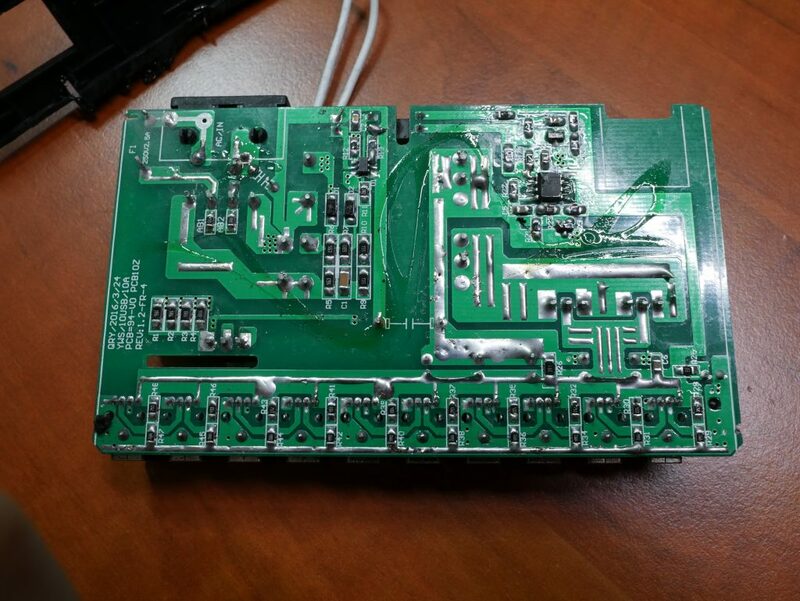 The back side of the PCB. Nicely laid out, cut out slots, tinned lanes to up power capacity, not too shabby at all! As always I’ve tested this charger with my EBD-USB in various configurations. Since this charger does not support Quick Charge all tests will be 5.0v only. Wow, just like the previous (but horrible) charger when using a single port it’s able to output up to 4.0Amps. That is the max the EBD-USB can handle! That would certainly work well with fast charging technologies like dash charging, etc. Using the first port on the other side of the charger doesn’t change a thing as was already suggested by the PCB layout. Let’s see how well it does when really stressing it! Well, that apparently doesn’t change a thing. It’s still going strong all the way up to the maximum Amperage the EBD-USB can handle. Again, same results, no real voltage sag to speak off, excellent! And here we discover the maximum the charger is able to handle. Again, as in the video it outputs a total of 12.5 Amps before it cuts off, well above the rated 10 Amps of the charger. I’m taken by surprise with this charger. I bought it because I figured it would be a cheap Chinese knockoff and it to be horrible. But it wasn’t, actually, it performed REALLY well, and getting the thing open was a real task, so they even didn’t cheapen out there. 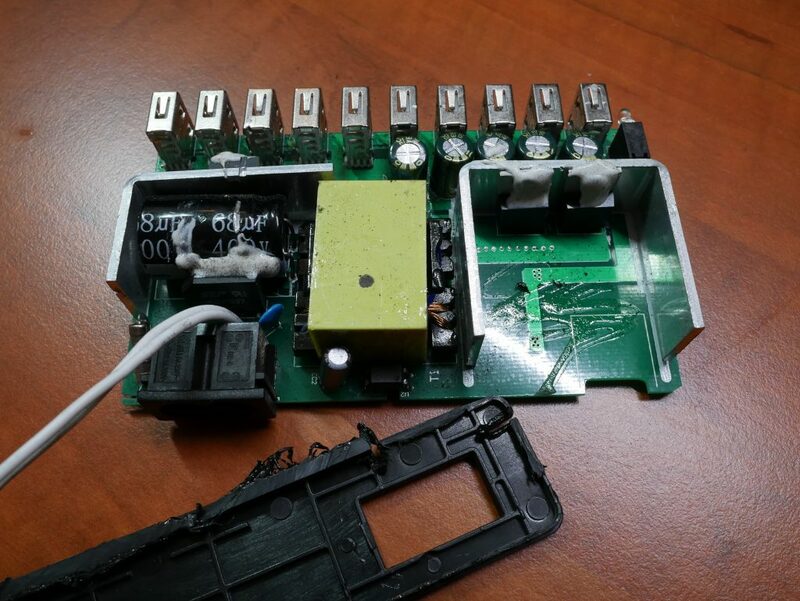 Sure, a brand charger is still better technically I think, but from my testing and observations, I am unable to find any obvious faults with it. 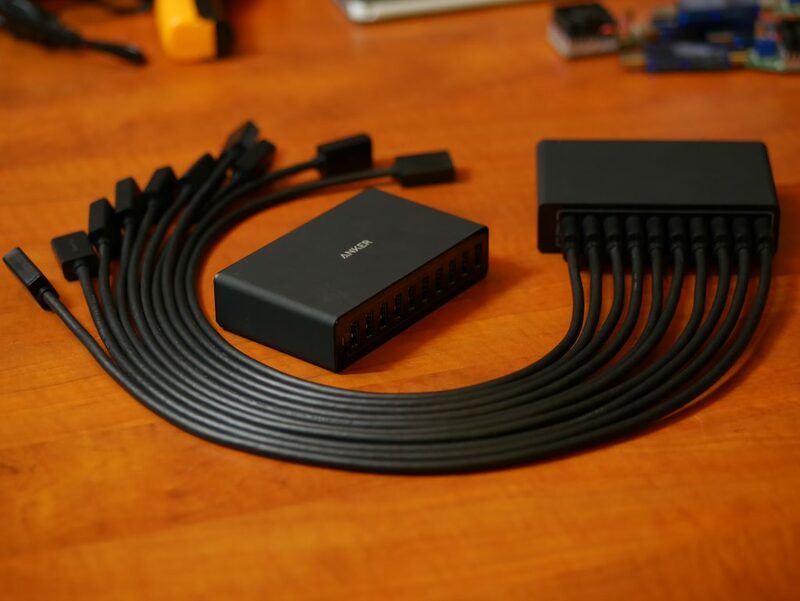 Need a 10 port charger that can deliver a decent amount of Amperage? Get one here! 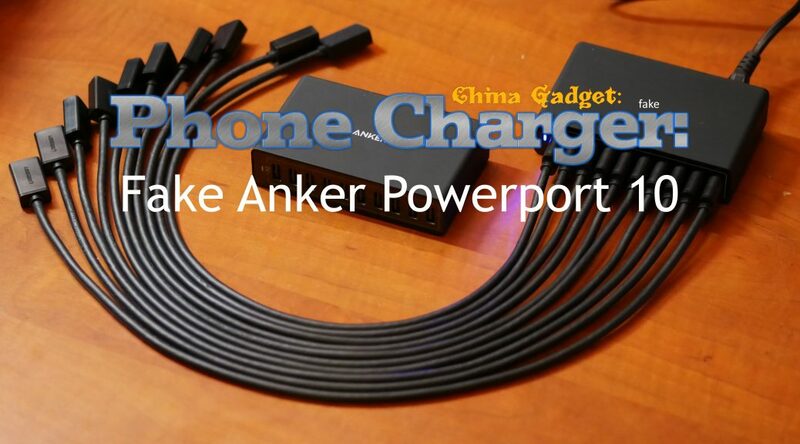 Would be interesting to open the Anker charger to see the differences. 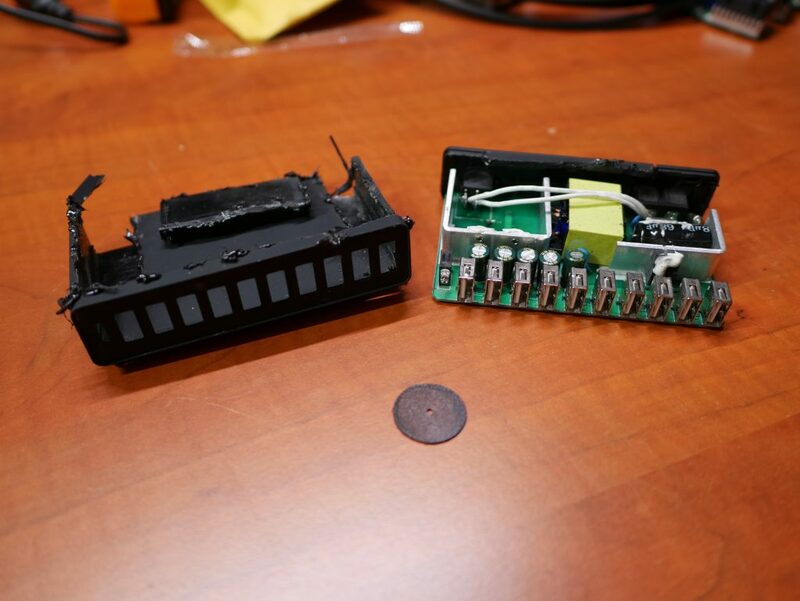 And let’s never forget a USB “charger” is just a 5V power supply with USB sockets.